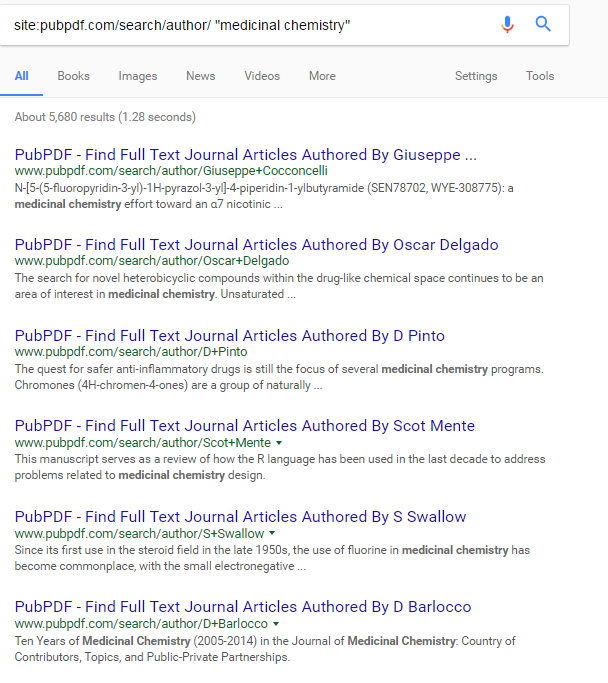 As I mentioned at SourceCon Spring, publication websites can be a tremendous resource in producing supplementary information and scientific skill sets to the forefront. Many scientists have “skeleton” LinkedIn profiles that do not include the full representation of who they are, what they work on, or what they do. 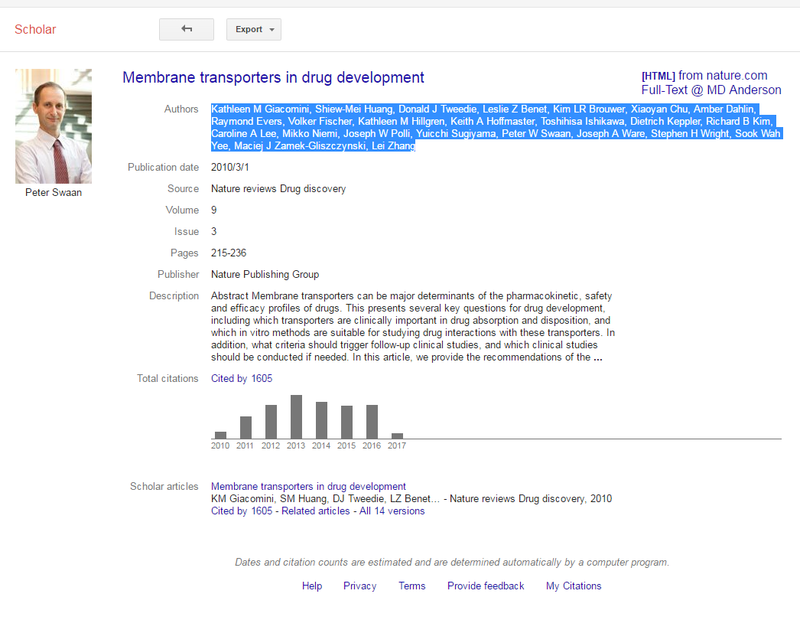 Publications can help identify niche skills (like working with small molecules in a drug discovery environment) much more efficiently than scouring for a hidden resume or CV. 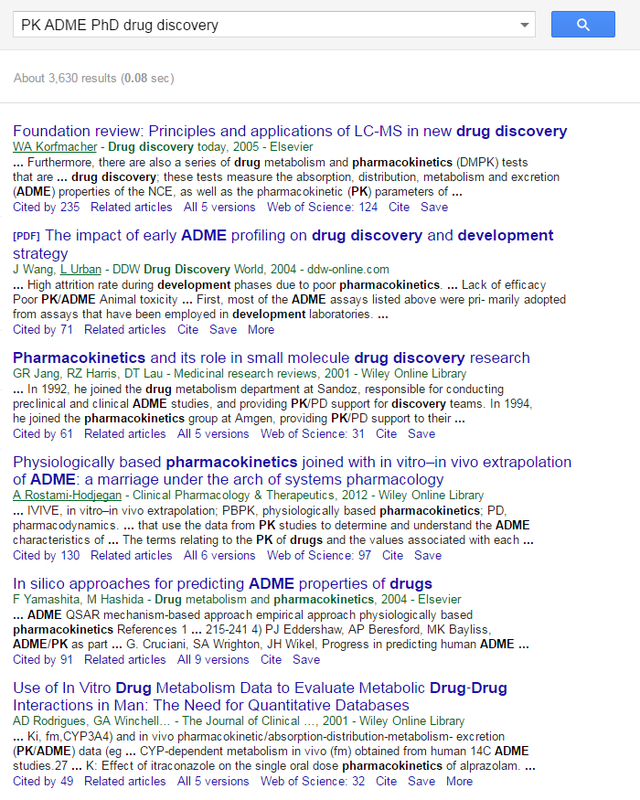 You can search Google Scholar straight out for publications, and you can include patents as well. 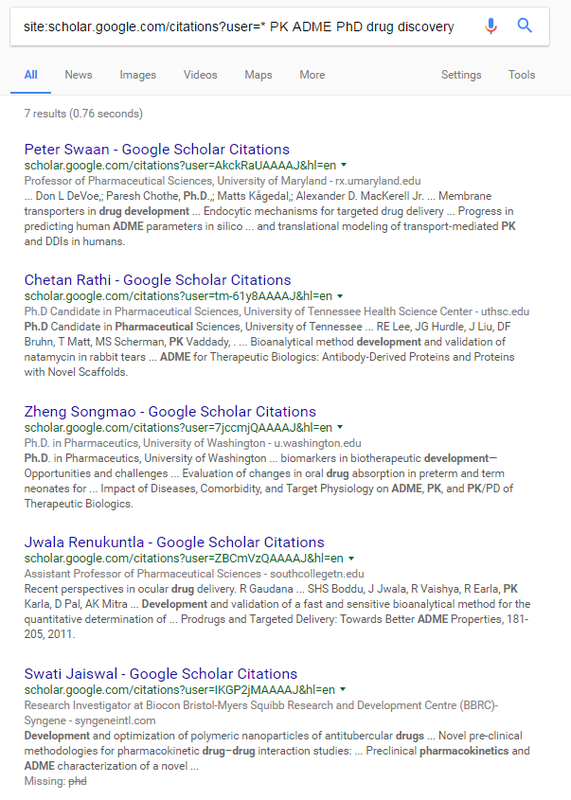 There’s a lot of information on the Google Scholar profile page, including all of the person’s publications and even the email suffix. He has one article cited 1605 times, which is impressive even though it was published back in 2010. That’s a large scientific group of experts. I’ve pulled entire teams of talent in this way. You can use this same technique on similar publications sites. One of the other ones I like is called Loop. Again, use Boolean or click a random profile link to get you to a formula. I’ve found site searching (or Xraying) in this way yields more focused results than going through the built in the search option, which can pull activities, brief bios, random publications and other inconsistencies. 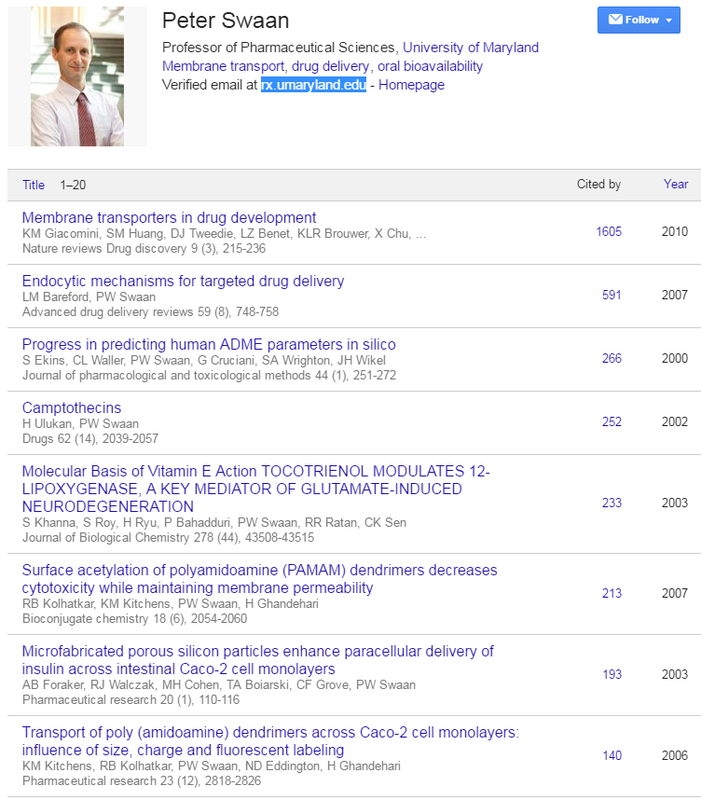 Some other science-based and publication sites you can take a look at are Research Gate, PubMed, and Kaggle (for data science). However, these are harder to navigate and require some advanced Boolean to site search. 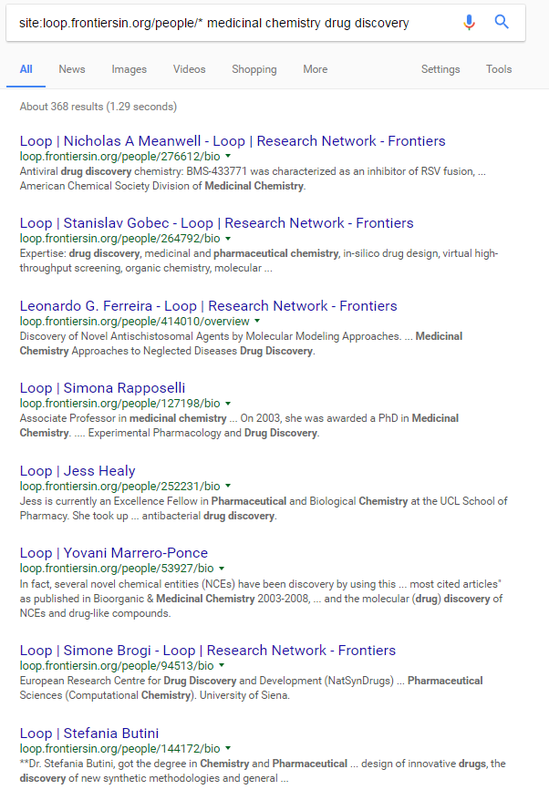 You can pull a Google results page like this and extract the data into a spreadsheet with tools like Data Miner, but there’s a bit of a learning curve to that process. Dean Da Costa has a plethora of great videos you can look to see the entire process. The interesting part about researchers is that 90% of them are on LinkedIn, so you typically have at least one point of contact to cross reference. I’ve also found several full resumes on the Ladders, and sometimes you can find emails in the publications themselves! The best part, all of these resources are free. 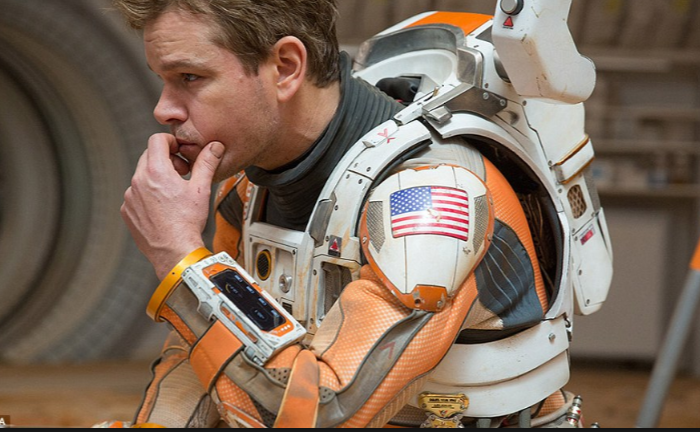 Get out there and science the syntax, I hope this helps!